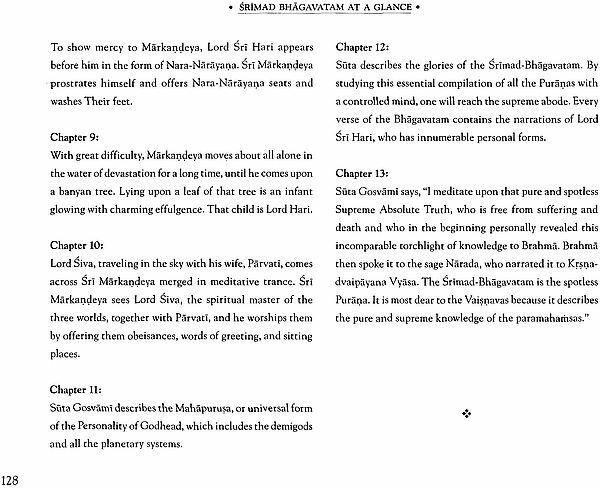 O expert and thoughtful men, relish Srimad-Bhagavatam, the nature fruit of the desire tree of Vedic literatures. 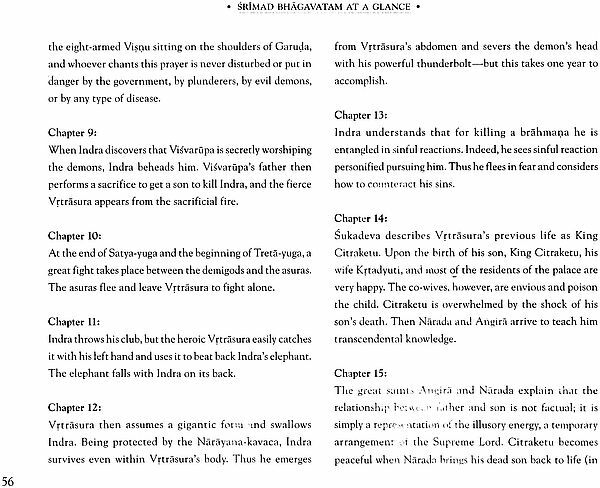 It emanated from the lips of Sri Sukadeva Gosvami. Therefore this fruit has become even more tasteful, although its nectarean juice was already relishable for all, including liberated souls. 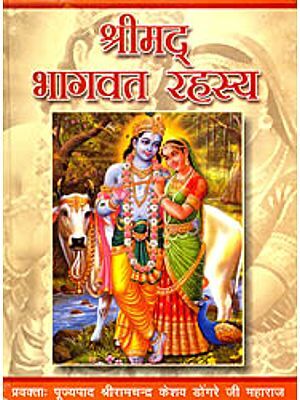 Lord Krsna came here to reestablish religion and to reveal His loving pastimes in the spiritual world. When He left, it was as if the sun had set. The world was plunged into the darkness of ignorance and irreligion. 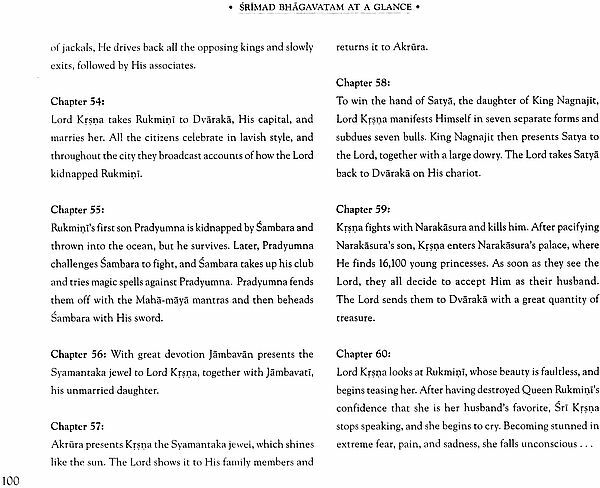 In Krsna's absence, the Srimad-Bhagavatam, His sound incarnation, made its appearance to illuminate the hearts of those desiring to cross the difficult ocean of this age of Kali. 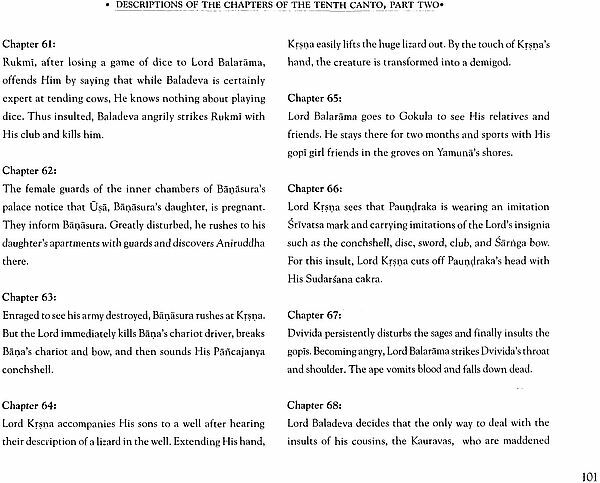 The first nine cantos provide the philosophical understanding we need to approach Krsna's smiling face. 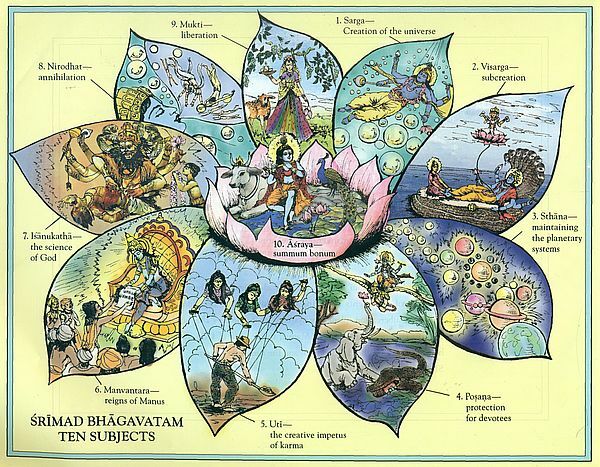 Worship of Krsna begins with His lotus feet, the First and Second Cantos. Devotees offer tulasi leaves to Krsna's lotus feet and pray for the ability to advance in devotional life. 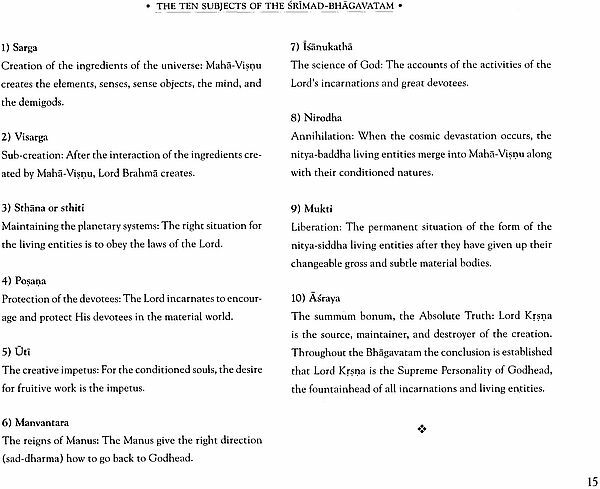 Srila Prabhupada says in his Preface to the Srimad-Bhagavatam that it begins with a definition of the ultimate source of everything and gradually develops in nine cantos up to the highest state of God realization. 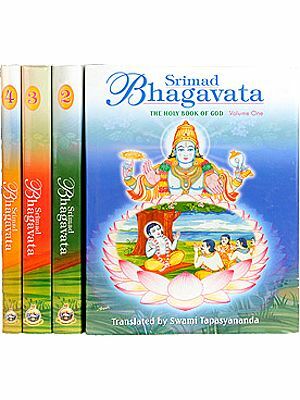 The only qualification we need to study this great book is to proceed chapter by chapter. 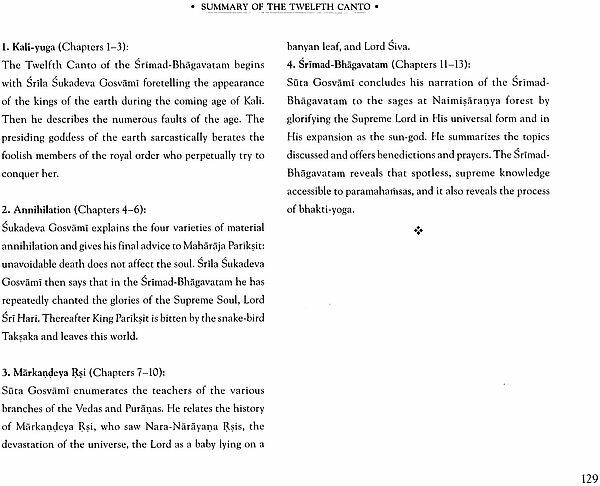 The reading matter is so arranged that we are sure to become God-realized after finishing the first nine cantos. 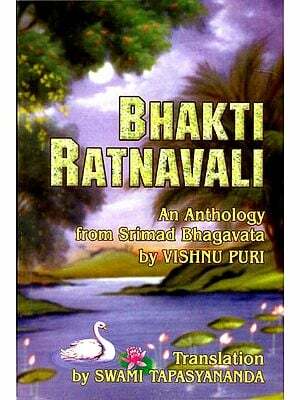 He writes: "The Tenth Canto is distinct from the first nine cantos because it deals directly with the transcendental activities of the personality of Godhead Sri Krsna. 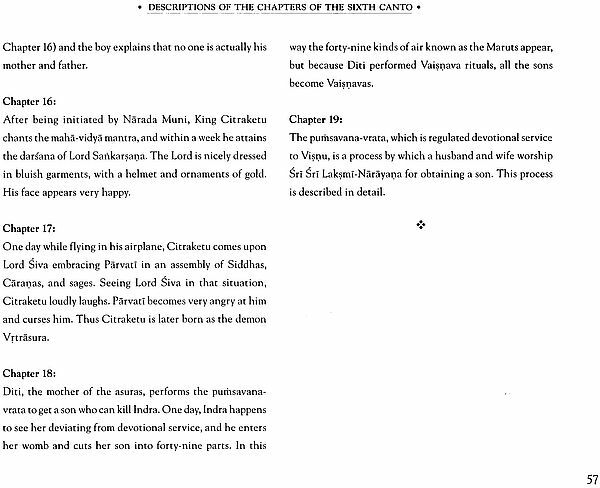 One will be unable to capture the effects of the Tenth Canto without going through the first nine cantos. 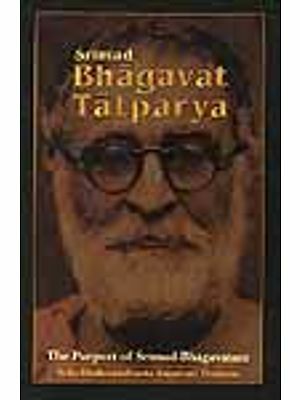 The book is complete in twelve cantos, each independent, but it is good for all to read them in small installments one after another."